'What if she isn't happy - does she think men are happy in this world? Doesn't she know how lucky she is to be a woman?' 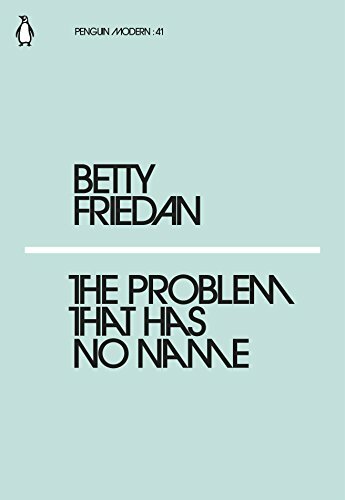 The pioneering Betty Friedan here identifies the strange problem plaguing American housewives, and examines the malignant role advertising plays in perpetuating the myth of the 'happy housewife heroine'. Penguin Modern: fifty new books celebrating the pioneering spirit of the iconic Penguin Modern Classics series, with each one offering a concentrated hit of its contemporary, international flavour. Here are authors ranging from Kathy Acker to James Baldwin, Truman Capote to Stanislaw Lem and George Orwell to Shirley Jackson; essays radical and inspiring; poems moving and disturbing; stories surreal and fabulous; taking us from the deep South to modern Japan, New York's underground scene to the farthest reaches of outer space.